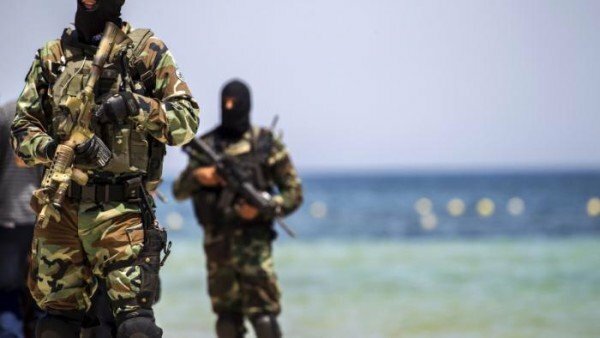 Tunisian authorities have arrested twelve suspects in connection with the deadly attack in Sousse, an official has said. Security forces were still hunting for two men suspected of having trained in Libya with gunman Seifeddine Rezgui who killed 38 people, he added. Most of those killed on a beach in Sousse were British, along with other European holidaymakers. ISIS militant group has claimed the attack as its own. Tunisia’s government fears the attack will destroy its tourism industry, the country’s biggest foreign currency earner. In March, two gunmen killed 22 people at the famous Bardo museum in Tunisia’s capital, Tunis. “This is a group who were trained in Libya, and who had the same objective. Two attacked the Bardo and one attacked Sousse,” Lazhar Akremi, minister for parliamentary relations, said, Reuters news agency reports. “Police are hunting for two more,” he is quoted as saying. Lazhar Akremi did not say when the arrests were made. Tunisian authorities have identified 23-year-old student Seifeddine Rezgui as the gunman who carried out the attack. They have released photos of two suspects, Bin Abdallah and Rafkhe Talari – friends of Seifeddine Rezgui that the police have yet to locate. ISIS has a significant presence in Libya, Tunisia’s eastern neighbor, and is thought to control the major towns of Derna and Sirte. The names of those killed in the attack are being released as well as those who are injured and missing.